Tierra del Fuego Accommodations that lie on the Argentine side are located in and around Ushuaia. Those outside of town are typically up-scale, full service lodging locations that enable you to spend your entire location tucked away in the Ushuaia mountain side without every stepping foot in town. However, if you prefer a place that is more town accessible there are other options as well. Ushuaia is full of Resort Hotels and Spas that will blow you away with their services, views, and comfort. Most of them lie on the outskirts of town and are positioned perfectly so that you can awake to the morning sun shining out over the incredible views of the Beagle Channel. They are full service hotels that are hard to leave without being fully satisfied. Los Cauquenes is one of those hotels that regularly receives rave reviews and happy customers. Another great hotel that provides a peaceful escape into the Tierra del Fuego paradise is Los Nires Hotel. Many people come to Ushuaia looking for a retreat into the wild outdoors and for that reason they choose to stay in one of the previously mentioned, more remote places of lodging. But if you are the type that likes to adventure during the day, but still have a central location at night, check out this option. MIL810 is a fun hotel that is just one block off of the main street in town. It has a modern feel, wireless internet, a large café/restaurant, and a fourth floor lounge area that was designed for guests to sit and enjoy the views of the Beagle Channel. Another great option at The End of the World. Finally there is Hosteria Tierra de Leyendas. This place is highly recommended. It is a hidden gem that sits on the waterfront 4km outside of the town centre, and only 3km from the airport. If you are looking for a place with Patagonian rustic character you should definitely check it out, but make sure to do it in advance. There are only 4 rooms in this hosteria that fill up quick due to its location, its homey feel, and the wonderful service of Sebastian and Maria, the owners who are happy to share a piece of their paradise with those passing through. The budget traveler always leaves Antarctica Hostel with a big smile and rave reviews. It is a beautifully constructed hostel with great accommodations, staff, and service. A full service breakfast is offered and they always have new activity options for those looking for something to do. If you do venture over to that Chilean side, you’ll probably need a place to stay there as well. Here are some lodging recommendations. Isla Rey Jorge Hotel is an English style hotel with an outside appearance that matches its beatiful interior decor. For night time festivities they also have a fun pub downstairs and a warm breakfast is included with the price of the room. Make sure to book early as there are only 25 rooms available. Middle ground hotels are harder to find in Punta Arenas. There are a lot of high end elegant hotels, and on the opposite end of the spectrum, there are also many of the typical backpacker hostels; but this charming Bed and Breakfast breaks the trend. Chalet Chapital Hotel is fairly new and filled with loads of warmth and charm. You’ll love the breakfast and the family friendly atmosphere. If you are looking for a backpackers hostel your best option in Punta Arenas is Hostal al Fin del Mundo. 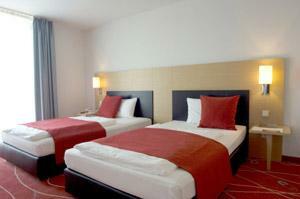 It has a great location, is extremely comfortable, and they cater well to the needs of those passing through.